April 17, 2017 “Information Clearing House” – “Truth Dig“- This is my third report assessing the White House intelligence Report (WHR) of April 11. My first report was titled “A Quick Turnaround Assessment of the White House Intelligence Report Issued on April 11, 2017 About the Nerve Agent Attack in Khan Shaykhun, Syria,” and my second report was an addendum to the first report. This report provides unambiguous evidence that the White House Intelligence Report contains false and misleading claims that could not possibly have been accepted in any professional review by impartial intelligence experts. The WHR was produced by the National Security Council under the oversight of national security adviser Lt. Gen. H.R. McMaster. In addition, other people dressed as health workers were standing around the crater without any protection at all. As noted in my earlier reports, the assumption in the WHR that the site of the alleged sarin release had not been tampered with was totally unjustified, and no competent intelligence analyst would have agreed that this assumption was valid. The implication of this observation is clear—the WHR was not reviewed and released by any competent intelligence experts unless they were motivated by factors other than concerns about the accuracy of the report. The WHR also makes claims about “communications intercepts” that supposedly provide high confidence that the Syrian government was the source of the alleged attack. There is no reason to believe that the veracity of this claim is any different from the now-verified-false claim that there was unambiguous evidence of a sarin release at the cited crater. We have confidence in our assessment because we have signals intelligence and geospatial intelligence, laboratory analysis of physiological samples collected from multiple victims, as well as a significant body of credible open source reporting. By 12:15 PM [April 4, 2017] local time, broadcasted local videos included images of dead children of varying ages. 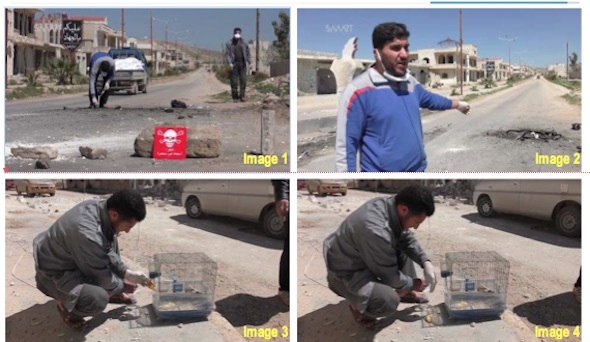 An open source video also shows where we believe the chemical munition landed—not on a facility filled with weapons, but in the middle of a street in the northern section of Khan Shaykhun. Commercial satellite imagery of that site from April 6, after the allegation, shows a crater in the road that corresponds to the open source video. Observed munition remnants at the crater and staining around the impact point are consistent with a munition that functioned, but structures nearest to the impact crater did not sustain damage that would be expected from a conventional high-explosive payload. Instead, the damage is more consistent with a chemical munition. Russia’s allegations fit with a pattern of deflecting blame from the regime and attempting to undermine the credibility of its opponents. It is now clear from video evidence that the WHR report was fabricated without input from the professional intelligence community. In order to cover up the lack of intelligence to support the president’s action, the National Security Council produced a fraudulent intelligence report on April 11, four days later. The individual responsible for this report was Lt. Gen. H.R. McMaster, the national security adviser. The McMaster report is completely undermined by a significant body of video evidence taken after the alleged sarin attack and before the U.S. cruise missile attack, which unambiguously shows the claims in the WHR could not possibly be true. This cannot be explained as a simple error. This unambiguously indicates a dedicated attempt to manufacture a false claim that intelligence actually supported the president’s decision to attack Syria, and of far more importance, to accuse Russia of being either complicit or a participant in an alleged atrocity. The attack on the Syrian government threatened to undermine the relationship between Russia and the United States. Cooperation between Russia and the United States is critical to the defeat of Islamic State. In addition, the false accusation that Russia knowingly engaged in an atrocity raises the most serious questions about a willful attempt to do damage to relations with Russia for domestic political purposes. 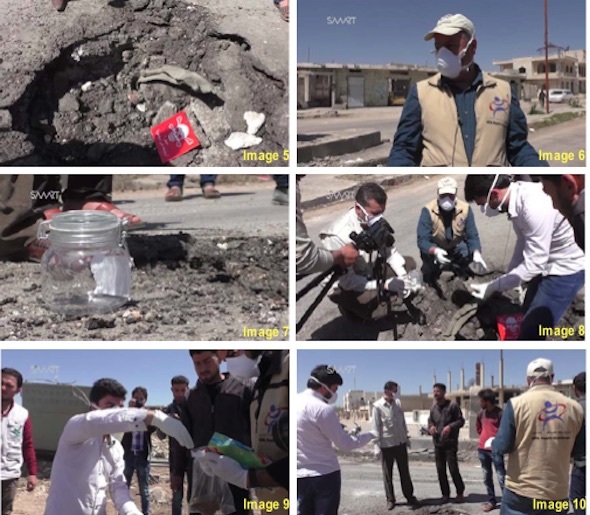 The data provided in these videos make it clear that the WHR made no good-faith attempt to collect data that could have supported its “confident assessment” that the Syrian government executed a sarin attack as indicated by the location and characteristics of the crater. This very disturbing event is not a unique situation. President George W. Bush argued that he was misinformed about unambiguous evidence that Iraq was hiding a substantial store of weapons of mass destruction. This false intelligence led to a U.S. attack on Iraq that started a process that ultimately led to the political disintegration in the Middle East, which through a series of unpredicted events then led to the rise of the Islamic State. On Aug. 30, 2013, the White House produced a similarly false report about the nerve agent attack on Aug. 21, 2013, in Damascus. This report also contained numerous intelligence claims that could not be true. 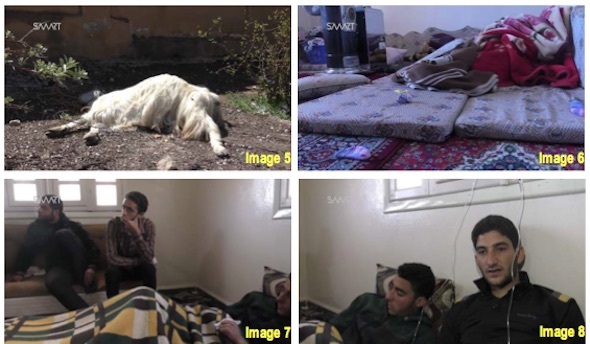 An interview with President Barack Obama published in The Atlantic in April 2016 indicates that Obama was initially told that there was solid intelligence that the Syrian government was responsible for the nerve agent attack of Aug. 21, 2013, in Ghouta, Syria. Obama reported that he was later told that the intelligence was not solid by the then-director of national intelligence, James Clapper. Equally serious questions are raised about the abuse of intelligence findings by the incident in 2013. Questions that have not been answered about that incident is how the White House produced a false intelligence report with false claims that could obviously be identified by experts outside the White House and without access to classified information. There also needs to be an explanation of why this 2013 false report was not corrected. Secretary of State John Kerry emphatically testified before the Senate Foreign Relations Committee repeating information in this so-called unequivocating report. It is now obvious that this incident produced by the WHR, while just as serious in terms of the dangers it created for U.S. security, was a clumsy and outright fabrication of a report that was certainly not supported by the intelligence community. In this case, the president, supported by his staff, made a decision to launch 59 cruise missiles at a Syrian airbase. This action was accompanied by serious risks of creating a confrontation with Russia, and also undermining cooperative efforts to win the war against the Islamic State. I therefore conclude that there needs to be a comprehensive investigation of these events that have either misled people in the White House, or worse yet, been perpetrated by people to protect themselves from domestic political criticisms for uninformed and ill-considered actions. 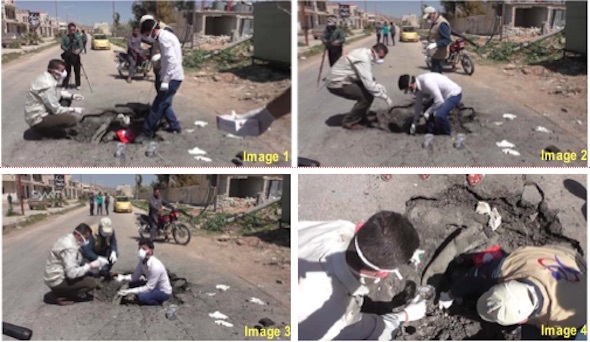 Here is the video evidence that reveals the White House Intelligence Report issued on April 11 contains demonstrably false claims about a sarin dispersal crater allegedly created in the April 4 attack in Khan Shaykhun, Syria. Devastatingly damning report. Thank you, Professor Postol. As my off-hand observation, the fact that Dubya Bush, Cheney, Wolfowitz and his Zionistneocon cronies et al have not been charged, brought to justice, and made accountable for their war crimes and crimes against humanity in 2003 et seq is the reason that Obama in 2013 and now Trump in 2017 have been able to advance similar disinformation and lies and escape the consequences with impunity. That’s a “system” failure that shows that the American empire has no clothes.